Middletown Tire & Auto is a full-service preventive maintenance and automotive repair center that has been performing high quality, guaranteed automotive repairs in the Middletown area since 2007. We service and repair all makes and models of domestic and import vehicles. We are your logical alternative to the dealership for all scheduled maintenance of your personal vehicle, or fleet car or truck. Bring in your foreign and domestic auto, SUV, or pickup today with complete confidence that your vehicle will be serviced correctly while maintaining your manufacturer's warranty. 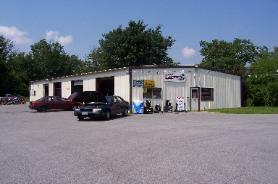 Middletown Tire & Auto is an independently owned and operated full-service repair and maintenance facility. We use the latest diagnostic equipment to guarantee your vehicle is repaired or serviced properly and in a timely fashion. We only use quality replacement parts, and our technicians are ASE-certified. Vinnie treats every customer like family. Love this shop. Always very nice they do fast work and they ate reasonably priced. They don't try to talk you into doing work you don't need. Place was fantastic. No hard sell. Friendly. I got my brakes done here 8,000 miles ago and they feel better than new!! Exceptional place and service is all I can say!!!! Nice place and nice people! Went in for a noise my brakes were making. They pulled the car in, checked it and brought me out to show me what it was. It was just a piece of bent metal rubbing against my brake rotor. Charged me a couple of bucks, fixed it and down the road I went!! Definately going to be my mechanics from now on!!! Who does that anymore? Most places you go to would try and bang you over the head! i definitely would recommend these guys!!! Thanks!! Great Place! First time I used them, I went in with an oil change and hesitation problem. I told them to thro a can of fuel injection cleaner in it. they said for me to let them check it, cause the fuel additive may not even do anything. I said ok. After about an hour, they called and told me it was mis-firing and it needed a tune-up. I was a little hesitant, but I said ok. I came back at the end of the day, pricing was good. I paid and took my car. Car runs fantastic!! This place is my new service shop and they were nice and the work was great!! What a Great Place!! Someone else reccomended them to me.I go there to have my breaks checked. They tell me I need brakes and rotors. Then they walk me out to my car and show me and explained it to me in a way that i could understand! They gave me a price, i said ok to the repairs. gave me a ride home and before the end of the day the car was done and they picked me up!! How awesome is that. Brakes have been working great! Service was outstanding and friendly!! Cant say enough nice stuff about this place. I highly recomend this place!!!!!!!!!!!!!!!! Just picked up my car which major work was done. Very nice people to deal with and they gave me transportation to home and picked me up when my car was done. I am very satisfied with their work and their friendly manor. I would recomend them to my family and friends. Great service, great trustworthy guys. I recommend them to everyone I talk to.